Young, Captain John D.; Welles, Gideon; al., et. ANNALS OF THE WAR/Philadelphia Weekly Times. 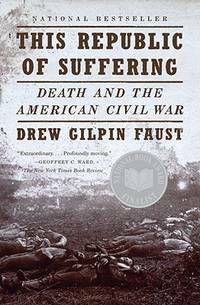 From This Republic Of Suffering to Hardtack and Coffee, from	Their Tattered Flags to War So Terrible, we can help you find the american civil war books you are looking for. As the world's largest independent marketplace for new, used and rare books, you always get the best in service and value when you buy from Biblio.com, and all of your purchases are backed by our return guarantee. Drew Gilpin Faust is president of Harvard University, where she also holds the Lincoln Professorship in History. Dean of the Radcliffe Institute for Advanced Study from 2001 to 2007, she came to Harvard after twenty-five years on the faculty of the University of Pennsylvania. She is the author of five previous books, including Mothers of Invention: Women of the Slaveholding South in the American Civil War, which won the Francis Parkman Prize and the Avery Craven Prize. She and her husband live in Cambridge, Massachusetts. Faced with failing health and financial ruin, the Civil War's greatest general and former president wrote his personal memoirs to secure his family's future - and won himself a unique place in American letters.Devoted almost entirely to his life as a soldier, Grant's Memoirs traces the trajectory of his extraordinary career - from West Point cadet to general-in-chief of all Union armies. For their directness and clarity, his writings on war are without rival in American literature, and his autobiography deserves a place among the very best in the genre.This Penguin Classics edition of Grants Personal Memoirs includes an indespensable introduction and explanatory notes by Pulitzer Prize-winning historian James M. McPherson. A classic work of military history, follows the enigmatic commander in chief of the Union forces through the last year and a half of the Civil War. It is both a revelatory portrait of Ulysses S. Grant and the dramatic story of how the war was won. The power of words has rarely been given a more compelling demonstration than in the Gettysburg Address. By examining both the address and Lincoln in their historical moment and cultural frame, Wills breathes new life into the words and reveals much about a president so mythologized but often misunderstood. 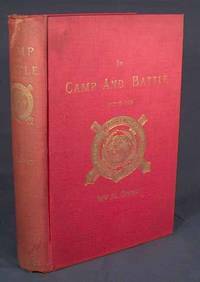 The classic Civil War study of General Ulysses S. Grant, written by Pulitzer Prize-winner Bruce Catton, introduces General Grant as he undertakes his first Civil War command, and follows him as he leads his troops through a series of battles, including Belmont, Fort Donelson, Shiloh, Corinth, Chickasaw Bayou, Edwards Station, and Vicksburg. Hard Tack and Coffee: The Unwritten Story of Army Life is a memoir by John D. Billings. Billings was a veteran of the 10th Massachusetts Volunteer Artillery Battery in the American Civil War. Originally published in 1888, Hard Tack and Coffee quickly became a best seller, and is now considered one of the most important books written by a Civil War veteran. This stirring and incisive chronicle to evoke precisely how it felt to be a Southerner during four of the most turbulent and harrowing years in American history. A sensitive study of men at war, Embattled Courage goes beyond the confines of the Civil War, for it provides penetrating insights into the romantic myth of battle, the nature of soldiering, and the difficulties veterans of all wars face in returning to a civilian society that has escaped the experience of combat and thus has little understanding - and very different memories - of war itself. One of the bloodiest days in American military history, the Battle of Antietam turned the tide of the Civil War in favor of the North and delivered the first major defeat to Robert E. Lee's army. In The Gleam of Bayonets, James V. Murfin gives a compelling account of the events and personalities involved in this momentous battle. The gentleness and patience of Lincoln, the vacillations of McClellan, and the grandeur of Lee - all unfold before the reader. The battle itself is presented with precision and scope as Murfin blends together atmosphere and fact, emotions and tactics, into a dramatic and coherent whole. From April 1864 until the end of the war Horace Porter served as lieutenant colonel attached to Ulysses S. Grant's staff. He accompanied Grant into battle in the Wilderness, Cold Harbor & Petersburg campaigns and was there at the Þnal surrender at McLean's house. 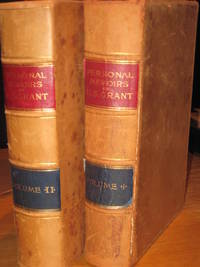 During this time he kept extensive notes of Grant's conversations, as well as of his own observations of military life. Porter brings to his recollections not only a soldier's practiced eye, but also a writer's intelligence. His portrait of Grant is the most incisive and readable Þrst-hand account that we have.